Announcing jaw-dropping , never before seen, scroll saw techniques and templates that will have you creating profitable works of art in no-time - guaranteed! You'll see results starting on your very first day... and your creativity will be working up a storm. This one-of-a-kind system will have you creating original, master quality wood working instantly. This system is so easy that you will be surpassing the 'pros' by the time you finish our book! To find out more or to order the book just click on the books image to the left. Check out Rockler.COM's articles on finishing your project and their online DURABILITY guide. A source of FREE patterns for beginning scrollsawers from their extensive collection. A source of FREE patterns for beginning scrollsawers. Shop Projects, Outdoor Plans, Kids Toys, Etc. 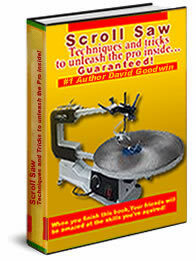 But this site includes a free pattern for scrollsaw or bandsaw 'Soul Train'- Real cool, check it out. The following sights offer scrollsaw and woodworking patterns, but are not freeThese magazines offer some great projects for both the advanced and beginning woodworker. Build or enhance your skill by subscribing to one of these fine publications. Their patterns are downloadable from the net. Over 1500 fullsize patterns. Whether you do woodworking just for fun, or to make a little extra money, we have some of the most popular, fun, and best-selling project plans around. Title pretty much says it all! Excellent resource.